The Center for Investigative Reporting has found doctors under contract with the California Department of Corrections and Rehabilitation sterilized nearly 150 female inmates from 2006 to 2010 without the required state approvals. Former inmates and prisoner advocates interviewed by CIR say that prison medical staff coerced the women into the surgeries. 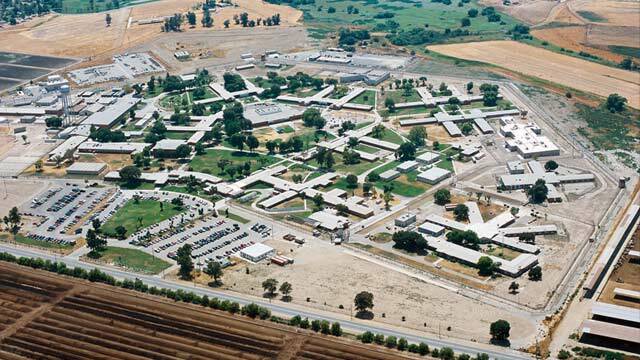 The women were signed up for the surgery while they were pregnant and housed at two of the three major women’s prisons in California at the time; the California Institution for Women in Corona and the Valley State Prison for Women in Chowchilla, which is now a men’s prison. A review of state documents from 1997 to 2010 found the state paid doctors $147,460 to perform the sterilizations. A former Valley State Prison inmate who worked in the prison’s infirmary in 2007 told CIR she often overheard medical staff asking inmates who had served multiple prison terms to agree to be sterilized. A U.S. Supreme Court ruling led to a number of new policies in the 1970s that made it illegal to pressure anyone to be sterilized or ask for consent during labor or childbirth. The decision came after lawsuits and public outrage over eugenics laws in 32 states, California included. “California still grapples with an ugly past: Under compulsory sterilization laws here and in 31 other states, minority groups, the poor, the disabled, the mentally ill and criminals were singled out as inferior and sterilized to prevent them from spreading their genes,” wrote the lead author of the CIR investigation, Corey Johnson. Johnson told ABC News-Univision he did not have any demographic data for the 148 women who were sterilized between 2006 and 2010. However, he noted that all the women he spoke to were women of color. “I can tell you that the women in the story consisted of one Asian (Crystal Nguyen), two Hispanics (Christina Cordero and Nikki Montano) and two African Americans (Michelle Anderson and Kimberly Jeffrey)”, Johnson explained. Women of color are generally overrepresented in California's prisons. African-American women make up roughly 7% of California’s female population, but they constitute 29.8% of female prison population in the state, according to 2005 prison Census data analyzed by the California Coalition for Women Prisoners. While white females make up about 47% of females in California, they are only 39% of the state’s female prison population. Latinas constitute 27% of California’s female prison population. To read the full investigation, "Prisons push sterilization, ex-inmates say," visit the Center for Investigative Reporting's website.